Traveling to Turkey for a Dental Treatment! It could happen to anyone at any time – biting into an apple, tripping over a poorly placed rug, or finding an overlooked bone in your chicken dinner could mean the untimely end to one of your teeth. Whether it’s a minor chip or a major snap, there’s no doubt that a visit to the dentist ought to be in your immediate future. Yet, with the rising cost of dental procedures in the UK, what are the chances that the prescribed procedure won’t leave an enormous hole in your savings? Fortunately, a new method of receiving dental care is growing in popularity and it’s not only affordable, but a great way to see the world! The increasingly popular option known as “dental tourism” has taken the UK by storm, and for good reason. Why pay over £600 for a veneer or as much as £2500 for dental implants when you can visit luxurious Turkey, take in the beautiful scenery, enjoy the local culture, and have the same surgery done for a third of the price? It might sound too good to be true, but thanks to a combination of lower fixed rates and labour costs, dentists in Turkey are able to keep their fees at a reasonable level. Also, the overall lower cost of education, insurance, and government interference means that doctors aren’t expected to keep their prices high to compete with the cost of running their business. If you’re concerned that the quality of the work might be at risk, several case studies exist to verify that all completed surgeries are of comparable skill and safety to those performed in the UK. Furthermore, the dentists themselves tend to be more accommodating and friendly, allowing patients to set up unorthodox payment plans or contact them outside of office hours to discuss concerns. It’s truly a welcoming experience compared with the harsh attitude and costly bills associated with dentistry in Britain. Getting dental treatments in Turkey is becoming more and more common and it shows: according to recent research, Turkey is the third most popular destination in Europe for dental holidays, with over 6% of UK patients heading there for their procedures. And the industry is only expected to expand. With people at home using up their savings to pay exorbitant bills for something that they find incredibly unpleasant, it’s no wonder that they are trying to find affordable (and more enjoyable) alternatives. If you’re in serious need of dental help and wouldn’t mind seeing the world, then dental tourism may just be for you. Just imagine being able to visit Bosporus Bridge, Prince Islands and Topkapı Serail, all while getting your tooth fixed – for less than it would cost for a simple procedure done in your own homeland! Don’t pass up the opportunity to expand your global experience and save money when it comes to your next dental emergency! 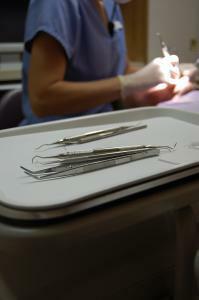 Contact Maltepe Dental Clinic for dental treatment in Turkey.